In fuel tank Fuel Pump Sender FOR AUDI A1 8X 1.4 10->18 CZDB. Petrol Bosch. FOR AUDI A1 8X. Fitting Position:in fuel tank. This is an original quality part manufactured by Bosch. Vehicle compatibility. Fuel Type::Petrol. We will always attempt to rectify the issue as fast as possible! We just want you and your car to be happy! You'll have the part ASAP. Eg, Vetech, Erst Klassig, Franzen, NK, etc. Part Number : 038906081B. BKC BXE DIESEL FUEL TEMPERATURE SENSOR. Engine Code : BKC BXE. VW GOLF MK5 1.9 TDI. Donor Car: VW GOLF MK5 1.9 TDI. VW AUDI SEAT SKODA. for Scottish Highland, Northern Ireland. REMOVE FROM AUDI A3 8P 2.0 TDI,3 DOORS,2004 YEAR,140 BHP,6 SPEED MANUAL GEARBOX GRF,ENGINE CODE BKD,PAINT CODE LZ7L GREY. MY AIM IS TO MAKE SURE YOU ARE ALWAYS 100% HAPPY! IN WORKING CONDITION AS SHOWN IN THE PICTURES ABOVE. Donor Car: 2001 Audi A8 D2 FL 2800cc Quattro Sport. The New and Used Audi Parts Specialist for all Audi models worldwide. Generic Notes on this Part: Fits in centre of Fuel Pump and holds the sender unit down into place under the cap. FOR AUDI A3 8P. Fitting Position:in fuel tank. This is an original quality part manufactured by Bosch. Vehicle compatibility. Part specifications. AUDI 5Q0919673C. SEAT 5Q0919673C. SKODA 5Q0919673C. VW 5Q0919673C. AUDI A3 (8V1, 8VK) 1.2 TFSI Hatchback Petrol 02/2013 on FWD 16 105 77. AUDI A3 (8V1, 8VK) 1.4 TFSI Hatchback Petrol 04/2012 on FWD 16 122 90. Item Specifics:2008-2015 - B8 - 2.0 diesel - FUEL PUMP - 0580205001. A4 2008 -2015 Mk4 (B8). Part:Fuel Sending Unit (Only). This Fuel Sending Unit (Only) was removed from a2008 car and has been fully inspected. P/N - 8E0919050F. AUDI A4 B6 1.9 2.0 2.5 TDI IN TANK FUEL PUMP SENDER UNIT. ENGINE 2.5 TDI DIESEL BDG 163BHP. MODEL A4 B6. PART REMOVED FROM. ITEM CONDITION. MILEAGE N/A. PAINT COLOR BLACK LY9B. P/N - 1K0919050D. 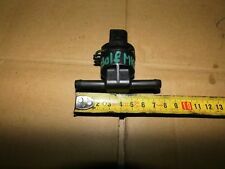 VW AUDI SKODA SEAT 1.9 / 2.0 TDI 2004-2010 FUEL SENDER UNIT. ENGINE 1.9 TDI DIESEL 105HP BKC. PAINT COLOR BLUE / LD5Q. BODY SALOON. ITEM CONDITION. MILEAGE 105K. Part number: 1K0919051CL, 1K0906093F, 1K0919673AF. AUDI A3 8P MK2 04-12 1.4 TFSI PETROL AC AIR CONDITIONING PIPE HOSE. We are breaking a 2009 Audi A3 Se Sportback 8P MK2 (Facelift) 1.4 Tfsi Petrol 123 BHP. GENUINE AUDI S1 QUATTRO 2.0 PETROL FUEL TANK SENDER. FITTED TO AUDI S1 2.0 PETROL MODEL YEARS. FUEL PUMP MODULE PART NUMBER - 3C0906093C. 6C0 919 673 C.
(gebraucht) Tankgeber Füllstandsanzeige Benziner. Fahrzeugtyp: Audi 100 (4A2,C4) 2.6 Automatik. Kennbuchstabe (Motor/Getriebe): Motorcode: ABC Getriebe: Automatik. Schlï¿½sselnr. Hubraum (ccm): 2598. Part No: 1K0919051AE. VW AUDI SEAT SKODA. FUEL SENDER UNIT. You are signing to say you have received the item(s) in good condition. (INTERNAL OFFICE USE ONLY - ID.429,51AE ). Tanque De Combustible Reparación Masilla Reparación Para AUDI A7 compuesto Gasolina Diesel Hazlo tú mismo. P/N: 1K0919050AB. 2015 SEAT ALTEA 5P. 1.6 TDI DIESEL. This is an original quality part manufactured by Lucas. FOR AUDI A3 8L. Fitting Position:in fuel tank. Vehicle compatibility. Part specifications. Q5600Q, Q5601Q, Q5602Q, Q11340Q. OUR AIM IS TO MAKE SURE YOU ARE ALWAYS 100% HAPPY! WHAT YOU SEE IN THE PICTURES IS WHAT YOU WILL RECEIVE! Removed from a 2015 Audi A1 1.0 94Bhp - 5 Door Hatchback - Petrol - 7 Speed DSG - Engine Code CHZB. A1 2014 On. Fuel Tank Sender and Pump Unit. Manufacturer Group. Volkswagen Group. Model Group. “Great Bridge Parts” has high reputation for both quality and service and believes itself to be the market leader in vehicle recycling in West Midlands. 1K0919133D - 1K0919133D. This is fitted across a wide range of VW, Audi, Skoda and Seat cars and vans. This is a Fuel Sender Seal for :-. This is a new,genuine Seat part. Important - We want you to get the right part for your car. Tank Sender Unit Seal used in most applications from 1968 on Equivalent to part number: 113919131A. We will always attempt to rectify the issue as fast as possible! We just want you and your car to be happy! AUDI A5 8T 3.0TDI QUATTRO. AUDI A5 2011 S LINE. Transmission Code - JKS Automatic Quattro. DIESEL FUEL TANK SENDER. REMOVED FROM VEHICLE. An item that has been previously used. The New and Used Audi Parts Specialist for all Audi models worldwide. Suits engine codes BKD BMM and BMN. It may fit others. Audi Part Number: 1K0 919 673 AK. Donor Car Colour: Bodywork is N/A. Interior trim is N/A. Manufacturer Part Number 191201375A. Audi A6 C5 Quattro VW Golf combustible remitente tuerca de retención. Se proporciona compatibilidad en algunos anuncios para dar una indicación de algunos de los coches que puede caber esta parte. FOR AUDI A1 8X. Fitting Position:in fuel tank. This is an original quality part manufactured by Bosch. Vehicle compatibility. Part specifications. FITS AUDI, VW, SKODA, SEAT, PORSCHE (PETROL). Material:NBR (Nitrile butadiene rubber). Quantity: 1 Pc. Lenkrad: Leder. Lenkrad: Multifunktion. Lenkrad: Schaltwippen. Getriebeart Automatikgetriebe 6-Gang. Getriebecode KBC. Sitze: Bezug Leder. Sitze: Farbe Schwarz. Sitze: Sitzheizung vorne. Audi 80 B3 and COUPE typ89 ( EARLY 88-91). Breaking Audi 80 B3 1.6td mint doors, bonnet bootlid and more Audi 80 cabrio 1.8 20v. Fuel level sender. Breaking A3 8l and 8p A6 2.5tdi V6 avant, also S4 b6, TT aswell as Golf mk1 mk2 mk3 mk4 mk5 Bora Octavia VRs Seat Cupra and more. REMOVED FROM AUDI A8 D3 4.0 TDI,2003 YEARS,275 BHP,6 SPEED AUTOMATIC GEARBOX GVK,ENGINE CODE ASE,PAINT CODE LZ1Z BEIGE. MY AIM IS TO MAKE SURE YOU ARE ALWAYS 100% HAPPY! IN WORKING CONDITION AS SHOWN IN THE PICTURES ABOVE. Der Tankgeber ist in einem guten Zustand und funktioniert einwandfrei. P/N: 8K0919050D. 2008 AUDI A5 8T. 3.0 TDI DIESEL. AUDI A3 1.9 Diesel Bomba De Combustible/Tanque de unidad de envío en 5 Pin Plug 2003-2013"
Item Specifics:2003-2013 - 1.9 DIESEL - FUEL SENDING UNIT - 4 PIN PLUG. Part:Fuel Sending Unit (Only). This Fuel Sending Unit (Only) was removed from a2007 car and has been fully inspected.